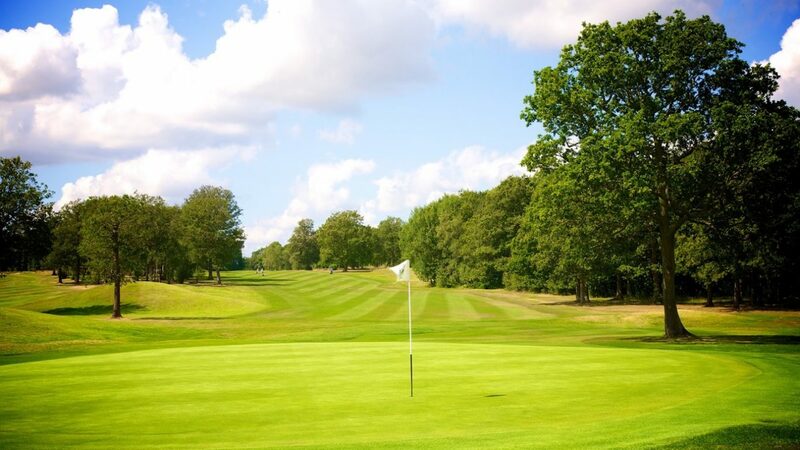 Originally part of the Lord Lovelace Estate, the Drift Golf Club nestles at the foot of the North Surrey Hills, just 20 miles from the centre of London and minutes from the M25 and A3. Peace and tranquillity are the order of the day at the Drift, and you will often be accompanied on your round by deer, foxes and pheasants. Sympathetically created in the mid-70s by Sir Henry Cotton and architect Robert Sandow, and recently updated by Ken Brown and Ken Moody, the par-73, 18-hole course is 6,447 yards long and makes use of the mature oak woodlands that it rests in. Strategically-placed water hazards and additional new bunkers, along with tree-lined fairways make accuracy a premium, and the course rewarding for all standards of play. Now benefiting from the additional drainage and full course irrigation system, The Drift is the club of choice for groups, ranging from 8 up to 100 plus players, for corporate and society days alike, with a variety of tailor-made packages available. The Drift experience offers nearest the pin and longest drive competitions at no extra cost and group tuition can also be arranged. A welcoming clubhouse with great food and service awaits you before and after your round. With a reputation for one of the friendliest clubs in Surrey, a great day is guaranteed. 18 Hole packages frm £33-£58. also be provided for £1.